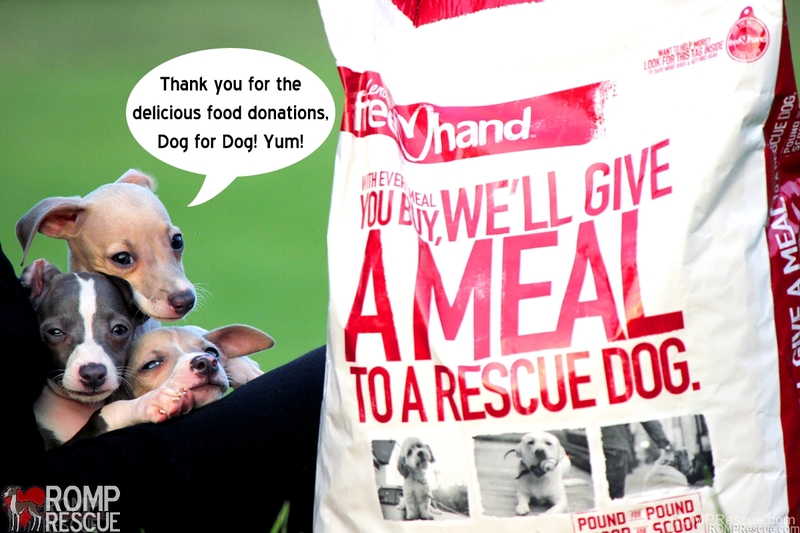 We are so delighted that Dog for Dog was able to donate food to our rescue! 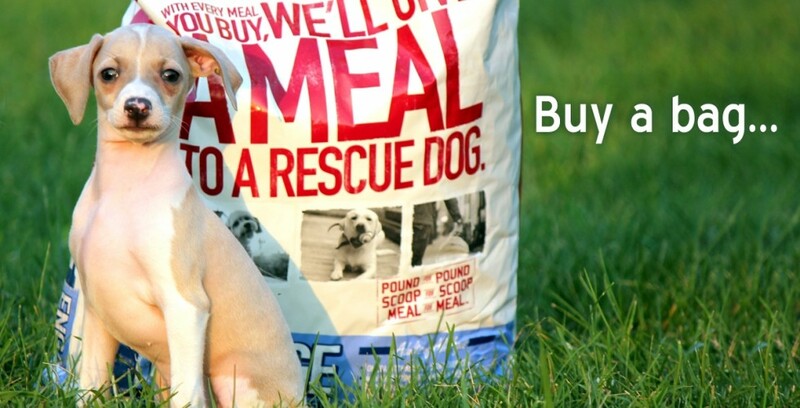 It’s a great product not only because it’s natural, delicious, rated very high on quality… but also because for every bag you buy they donate a bag of dog food to feed a rescue dog! How amazing is that? 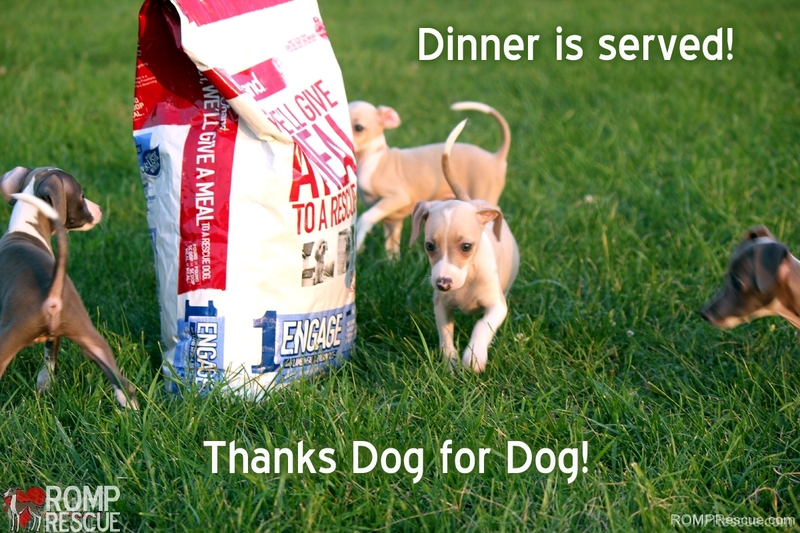 We think it’s fabulous and all the dogs we saved love the food! The 4 Italian Greyhound puppies we rescued were so delighted about the donation they insisted on doing a photoshoot, so we obliged. 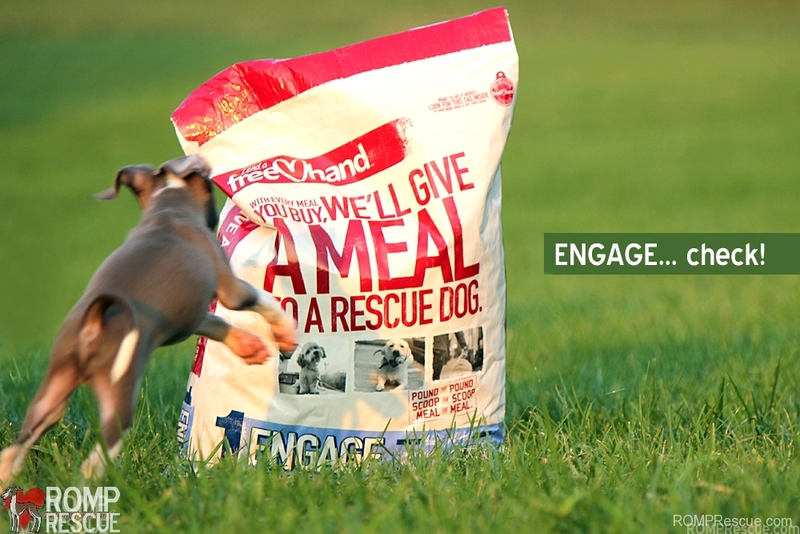 Here are some of the best shots and a quick video of them and the healthy Lend a Free Hand by Dog for Dog, Dog food donation! 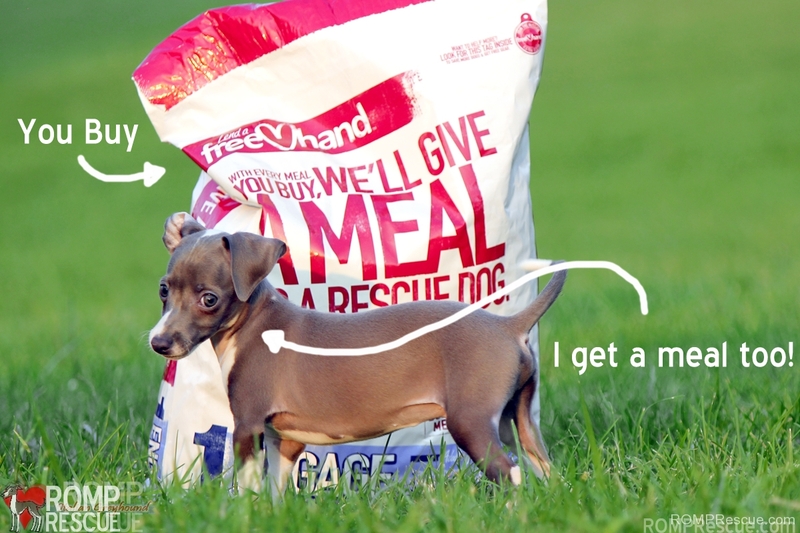 The pups really love the food, and the bag, and to play in the food and on the bag. True supporters through and through. As cute as these photos are, it was even more cute to be there in person! This little guy was dying for photo to be taken, he is such a great poser! I think this little boy had a little too much energy that day, full on attack of the dog food! 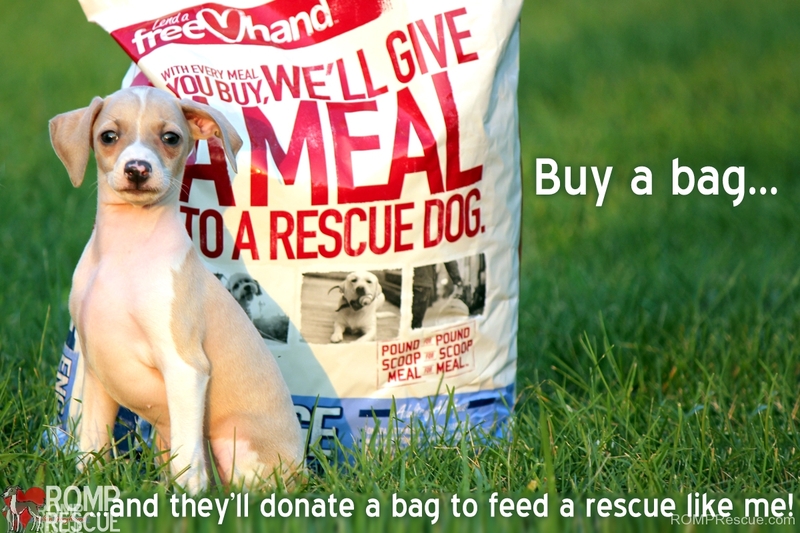 The bottom line is that if you are looking to help some pups out, buy Dog for Dog because they donate a bag for every bag you buy! 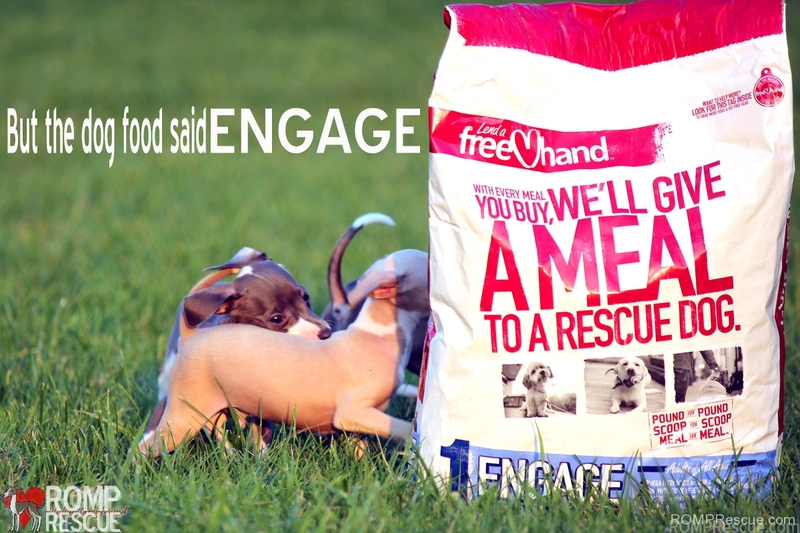 You can feed rescues like ours in the process! THANK YOU, Dog for Dog! 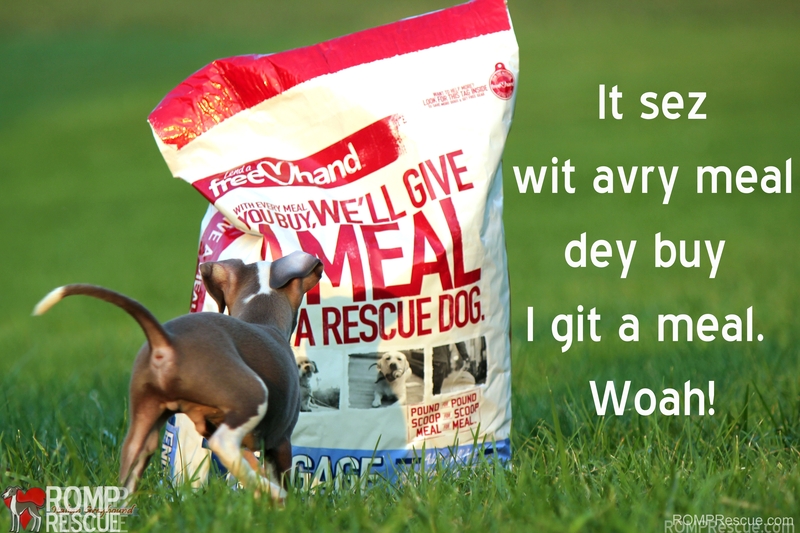 From all the Paws at ROMP Italian Greyhound Rescue! If you are interested in adopting fill out an application here and if you would like to foster long or short term please fill out an application here. This entry was posted in ALL, Companies you should know and tagged chicago, cute, dog food donation, Dog for Dog, free, funny, illinois, italian greyhound, Italian Greyhound puppy, itlaian greyhound puppies, lend a hand, puppies, puppy, puppy photo shoot, rescue, ROMP Rescue. Bookmark the permalink.